Colorful plastic pellets are a fun and safe alternative to sand, oatmeal, or rice! A perfect addition to your sensory tubs and tables and easy to sanitize! 5-lb. 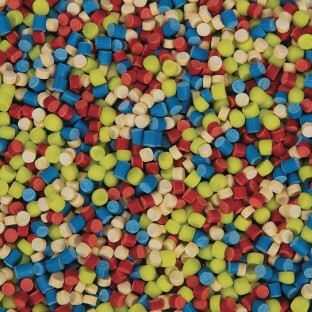 bag of pellets in a rainbow of mixed colors.